We offer just about any type of repair needed on sail or power boats. We also offer specialized repairs, whether it is custom metal fabricating or custom canvas work. 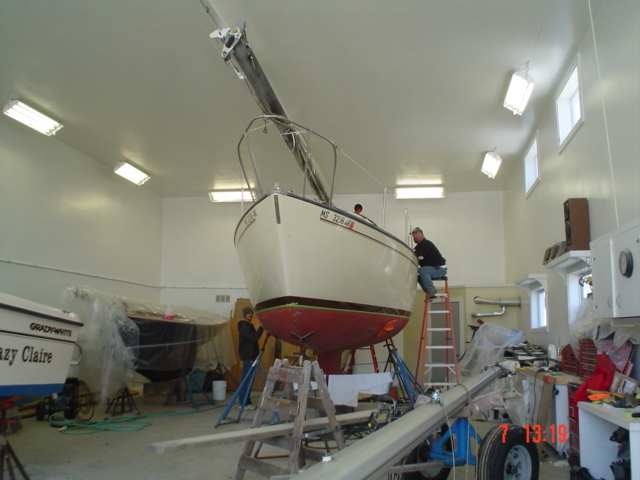 We perform wood and fiberglass repairs, wiring, painting and varnishing, electronics sales and installation, hull and deck refinishing, rigging repairs and replacement of running gear. We regularly maintain and service 150-250 boats a year ranging in size from 10 ft to 40 ft. We would be pleased to provide an estimate on any work you would like done!